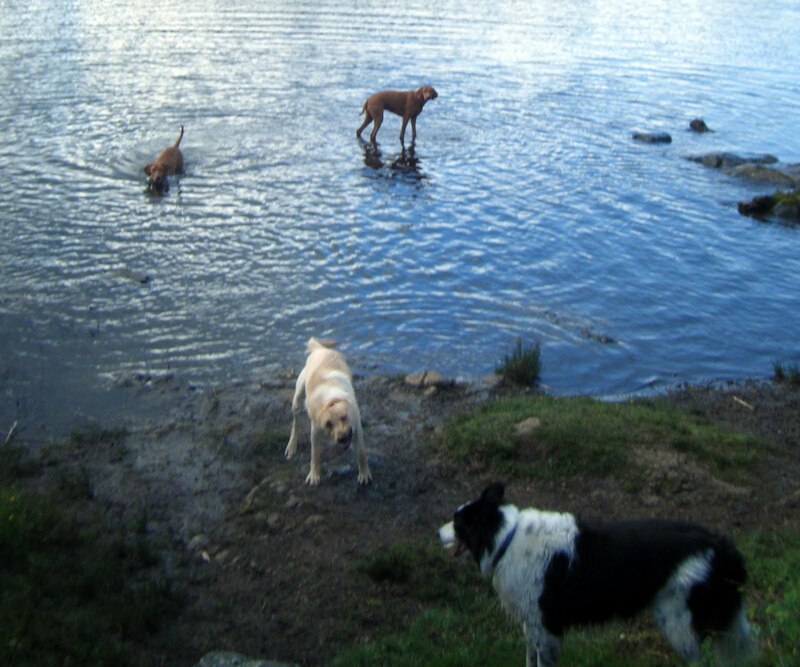 Home > Blog > Wild Side Dogs can walk on water…. Wild Side Dogs can walk on water…. A great walk today with Holly & Ivy, Gigha & Cara, Skye, Jude and Boris. Jude, Skye & Boris have all been missing for a couple of weeks due to illness, holidays and other commitments but they all were SOOO pleased to see each other and the rest of the pack. Boris was running about like crazy, nearly rivalling Jude! Skye, as always just loves the walk and the company of the rest of the dogs. I am so pleased to have my boys back I was nearly as excited as them when I picked them all up!